The great weather enabled some very big performances this weekend in PA track and field! 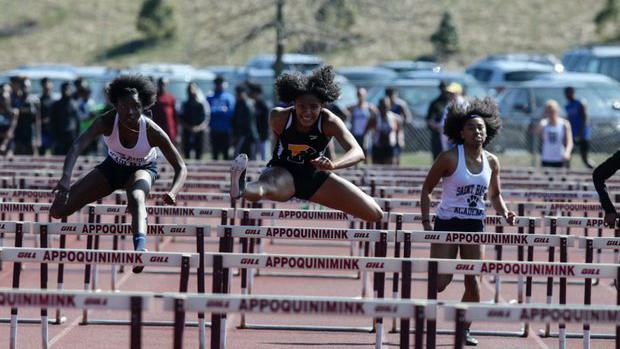 Defending AA state champ Tia Taylor (above, left) of Saint Basil Academy raced to a PA#1 and the first sub-15 in the 100 meter hurdles on Saturday in DE. There were tons of other PA#1s and big times and marks from all across the state. Check out this week's girls results merge (4/1 - 4/7) below.